Book our Uffizi Gallery & Holy Cross Church Private Tour, if you want to see the most famous Italian artworks without movingtoo much! 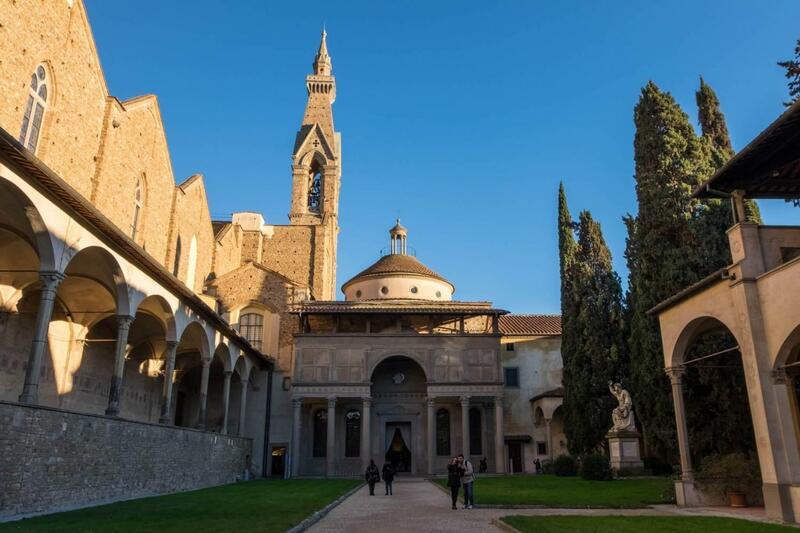 This tour will bring you to the Holy Cross Church, the main church of the entire city and to the Uffizi Museum, where can admire artworks of Raphael, Michelangelo, Botticelli and many others. 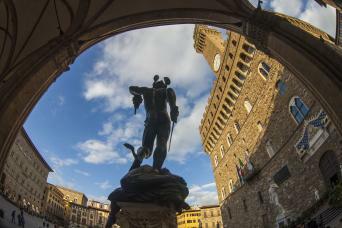 The tour includes special skip the line tickets for the Uffizi Gallery and a super expert private guide, to help you discovering these treasures around Florence. 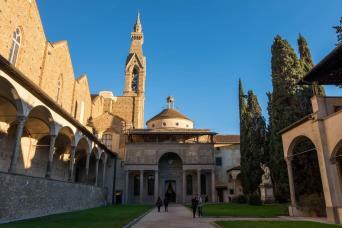 Do not hesitate; book our Uffizi Gallery & Holy Cross Church Private Tour! 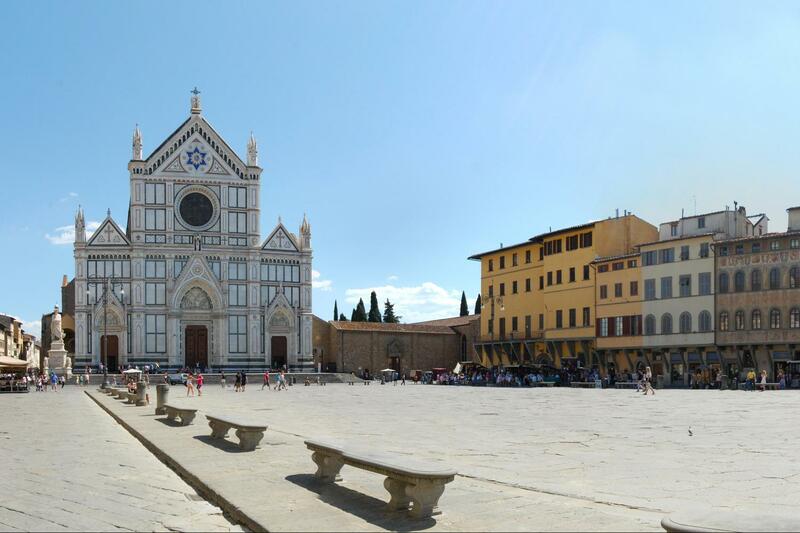 Our Uffizi Gallery & Holy Cross Church Private Tour brings you directly to two of the main highlights of Florence! In just 3 hours, you will be able to discover this gems in the middle of the city with the help of a super-expert guide who knows everything about them... And so will you! Are you ready for this great adventure? Our tour will begin at the Uffizi Gallery. First opened in 1591, it is not only one of the world’s oldest museums, it is also one of the largest and the best art collection in Italy. Our private guide will walk you through the treasures guarded inside the museum. The paintings are arranged in chronological order, i.e. from Renaissance’s early stages with Cimabue and Giotto, to Botticelli, Raphael Michelangelo, Titian and Caravaggio. Therefore, the tour will be like travelling through time, learning not only art but also politics, conspiracies, pains and anecdotes, intertwined with the history of Florence. With this tour of the Uffizi Gallery you will understand why the Renaissance and Florence, as beating heart of this movement, changed the world forever. After the Uffizi, you will continue the tour with our guide, heading to Holy Cross Church. The basilica is the largest Franciscan church in the world and legends say that St. Francis himself founded it. The structure of Holy Cross Church includes 16 chapels, many of them decorated with frescoes by Giotto. The basilica is famous as the burial place of many notable Italians, such as Michelangelo, Galileo and Macchiavelli. In the monastery behind Holy Cross Church, you will have the unique opportunity to enter the Leather School, the largest leather laboratory in Florence. Leather is one of oldest traditions in the city and has shaped its history and development throughout the centuries, with streets still dedicated to this traditional handicraft. The artisans of the Leather School still follow the traditional way to create high-quality handmade bags, jackets, gloves, shoes and many other items. It will be a once in a lifetime experience to visit the workspaces of the artisans and watch them creating leather goods in front of your eyes! Are you ready to jumo back into Renaissance? Are you ready to feel the real essence of one of the most beautiful cities in Italy? You definitely should be, because our Uffizi Gallery & Holy Cross Church Private Tour is just great! All you have to do is sending us an enquiry or call us on the phone; we are here to assist you!